« Putting Yourself Out There — And a Giveaway!! 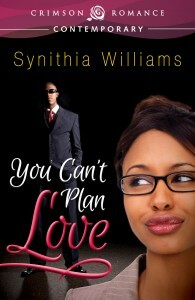 Today I’m swapping blog interviews with author Synithia Williams. Synithia is a fellow Crimson Romance author and therefore is awesome. LOL. But I’m not biased or anything. Nope. We decided it would be fun to swap blogs and both answer the same interview questions. These are Synithia’s answers and when you’re ready to see how I answered the same questions, check out Synithia’s Blog Here! My favorite animals are sharks. I love the beauty, strength and fluid motion of sharks. I can’t wake up as one, but I would like to swim with them one day. I’d like to own a boat. I love the water (oceans and lakes). We live close to a beautiful lake and the ocean is only two hours away from us. If money were no object, I’d be out on the water all summer. I should say when I had my kids, shouldn’t I? Or when I got married, right? While those are in my top five, my best day was a birthday I had when my husband and I were just dating. He got all of my co-workers together in the break room with a cake and they sang happy birthday. I also received calls and well wishes from friends. At the end of the day I felt so loved and blessed. What’s your favorite romantic comedy and why? Bridget Jones Diary. Number of reasons: Colin Firth, British humor, Colin Firth, a woman we can all relate to, and Colin Firth. What’s your ideal activity on a rainy day? Sunny day? Rainy day: reading or watching television. Sunny day: outside enjoying the sunshine with a book in hand. If you could live in any time period–past, present, or future—which would you choose and why? This is fantasy right? Okay, I’d be a Duchess in England during the Regency Period. Historical romances are my favorite, especially those set in Regency England. I know that in reality Regency England probably wasn’t as wonderful as it is in romance novels, but it would be fun to see it firsthand. What’s the one place you’d most like to visit someday? This shouldn’t be surprising based off my previous answer. London. Are you a dog or cat person? Or other? Cat person. Cats are so much easier than dogs. Heights. My palms get sweaty just thinking about getting higher than two stories. 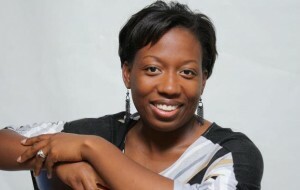 After several bad relationships, Kenyatta Copeland decides to control her love life with the same discernment she uses in her professional life. Knowing firsthand the heartbreak that comes when desire and emotion rule a relationship, Kenyatta assumes marrying Brad Johnson will lead to a stable life. But as much as she believes she can plan her future, it’s hard to ignore the way her boss, Malcolm Patterson, ignites her passions with just one look. After Malcolm learns of her engagement, he makes a play for her heart and reminds her that passion between a man and a woman has its perks … but also its costs. When Brad suspects there’s more than work between Kenyatta and Malcolm, he works harder to keep Kenyatta by his side. Torn between her promise to marry Brad and her irrepressible longing for Malcolm, Kenyatta must decide if she can live her life in a passionless marriage of convenience or once again trust her heart. Yet Brad isn’t as perfect as he seems, and by the time Kenyatta realizes this it may be too late. This was fun, Heather! Thanks for inviting me over! Thanks for being here, Synithia! You can’t go wrong with Mr. Firth. British hotness at it’s best! I’m right there with you on Colin Firth – love him! An author who wants to swim with sharks is an author worth reading! Oh yeah – Colin Firth. I once caught half an interview on NPR and had no idea who it was, but all I could think about was “This man is so interesting.” Yup – it was Colin Firth. This feels like a Colin Firth fan club meeting! Yes!!!! I’m deathly afraid of sharks…can’t even look at pictures. Won’t even step foot in an aquarium because I know they’re in the building. Yep, I’m crazy! LOL! But my 7-yr old daughter loves sharks. Go figure! So, Synithia, I give you kudos for wanting to actually swim with them. I’ve always loved sharks! Shark aweek on Discovery Channel is one of my favorite times on TV. Lovely interview, but sharks? Not porpoises? I’m miles apart on the animal choice, Synithia, but I’ll join you in Regency England…anyday. Best of luck with your book! I love dolphins and whales, but sharks are my favorite. Lovely post, Heather and Synithia. I’m with you all the way, Synithia – London is the best city in the world. And if you add Colin Firth, then it’s heaven. Best of luck with YOU CAN’T PLAN LOVE. Oh my goodness, I love Bridget Jones’ Diary! lol Great interview!